This weekend, our friends over at Geeks Out put on the third annual Flame Con. 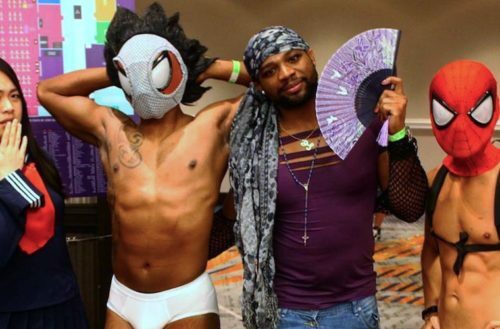 Flame Con, at the New York Marriott in Brooklyn, is an LGBTQ-focused comic, art and entertainment convention. 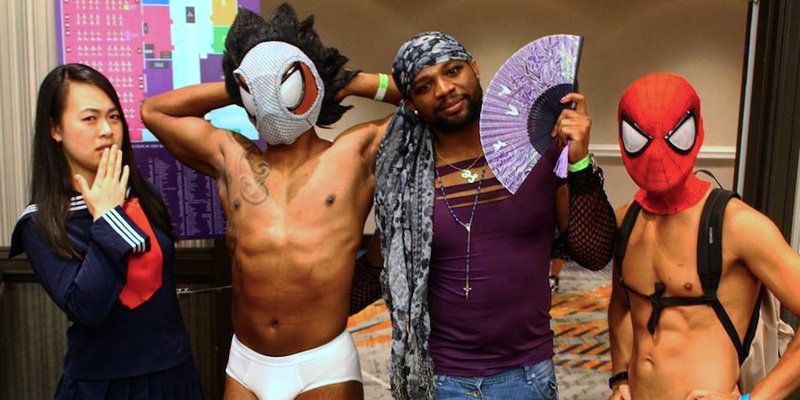 Last year Flame Con’s was the biggest queer-focused pop culture expo ever held in New York. Flame Con had a number of special guests. Some of the most exciting included Vincent Rodriguez III of Crazy Ex-Girlfriend, Dan Parent, the creator of Archie Comics’ first gay character, Kevin Keller and Marc Andreyko, editor of the Pulse benefit anthology Love is Love. Though Flame Con had a number of outstanding events and panels — we wish we could have been there for “Revenge of the Queer: Canonically Straight Characters Occupying Queer Spaces” or “How Comics Saved My Life” — one of the best parts of any convention is the cosplay. Flame Con was no exception — a number of brilliant cosplayers were out in full regalia. Here are a few of our favorites. This Diva Plavalaguna from The Fifth Element certainly stood out! Eddie with my hands-down favorite cosplay at #Flamecon. Oh no, Freddy Krueger (played here by Mark Patton) got Amethyst from Steven Universe! Good thing there were multiple Jems, though — Ursula the Sea Witch stole this Jem’s voice! Buffy and Willow ✨?? One of my fave cosplayers from yesterday at #flamecon ?